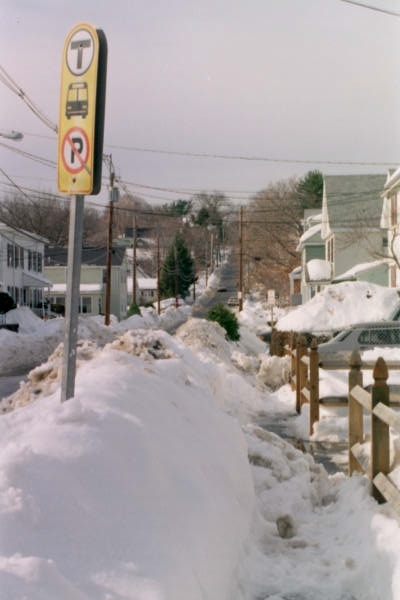 The first of the photos from February, 1996 is a view up Plympton Street from Bacon Street. 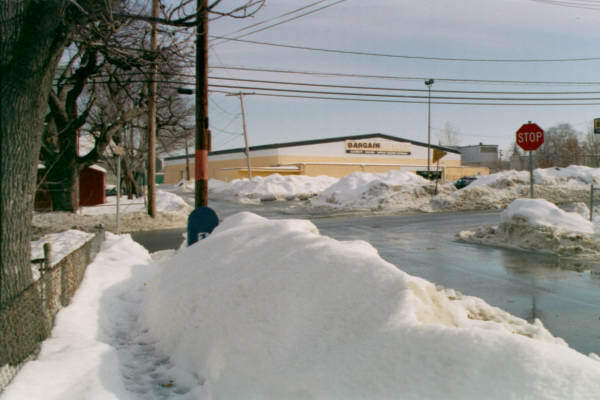 The other is a view across Bacon Street from Plympton Street. 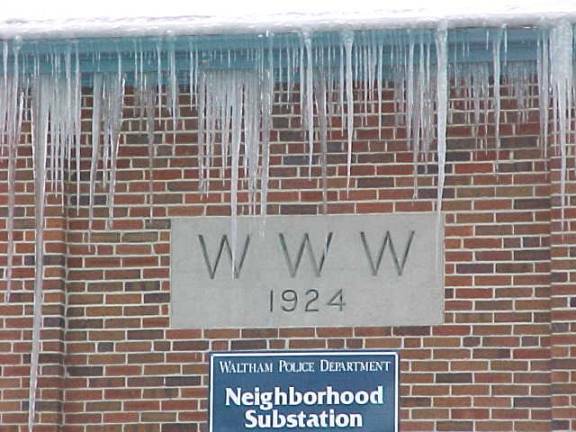 Icy view of the police station by Laura McCann in February of 2003.